Pretty much every gaming accessory brand out there these days is trying to traffic in the hype around esports. Some are doing it publicly through big branding exercises. For example, HP and Intel have stamped their name all over the Overwatch League. Others are operating on a smaller scale: recruiting esports athletes and sprucing testimonials about how having ‘the right peripheral’ empowered them to play at their peak. And, most of the time, that’s just marketing. Professional football players don’t just happen to stumble onto the field wearing Nike or Adidas shoes. These companies shell out money each year to make sure they do. That’s how sports sponsorships tend to work. And esports isn’t too different in that regard. 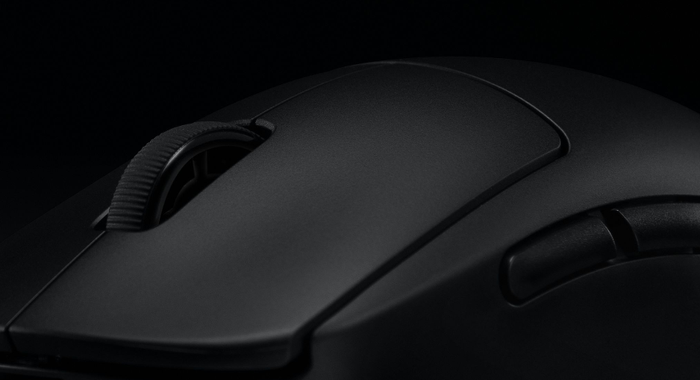 However, there’s one little detail that makes the new Logitech G Pro Mouse a whole lot more interesting than most of the other pro-tier peripherals out there. 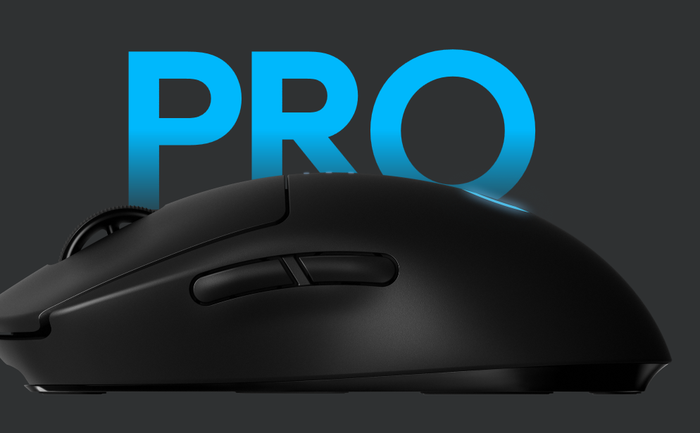 A companion to their new Logitech G Pro headset, the Logitech G Pro Wireless Mouse promises to finally deliver a wireless mouse experience that’s on-par with the best wired solutions. No string attached. Weirdly, one of the things that impressed me most about the new Logitech G Pro Wireless mouse was the unboxing experience. Usually, the box is just some cardboard and plastic that you have to pull apart before you get to the good stuff. Here, the packaging is simple and discrete. It might be a tad much to say it feels professional - but it does feel a whole lot more premium. On the whole, this felt much closer to the experience of unboxing a new Samsung phone than that of yet another gaming mouse. More of this please. And, like the packaging, Logitech have kept things simple when it comes to the mouse itself. In fact, the Logitech G Pro Wireless Mouse is about as minimalist as gaming mice come. The only thing that competes with it on austerity is BenQ’s Zowie gaming mice - but that’s about it. The Logitech G Pro Wireless Mouse is super-lightweight at just 80gs and fits beneath your palm with grace. There’s two buttons on either side, which can be used as macros or to toggle the DPI. Even by the bar that Logitech have set for themselves, the Logitech G Pro Wireless Mouse comes across as super-restrained and all the better for it. There's little RGB lighting here, aside from the Logitech logo and the three LED lights that double up as status indicators for the mouse's remaining battery life. The only thing I wasn’t sold on here was the material design of the mouse itself. While the looks are on-point, the physical feel-factor left a few things to be desired. Despite the premium styling, this left the peripheral often feeling a little too much like cheap plastic. It didn’t take long before I found myself wishing for something more tactile, like the rubber grips on the HyperX Pulsefire FPS Pro or Razer Mamba. Sure, such grips do have their downsides - but they also give a sense of physicality and grit that I felt like this mouse sometimes lacked. The Logitech G Pro Wireless Mouse also comes compatible with the Logitech PowerPlay wireless charging mouse mat but does not come bundled with the accessory. Buying the latter will set you back about $150, which brings the total cost up to about $400, but doing so does essentially make the battery life on this mouse limitless. Some will find this to be a worthy investment. Others will deem it a luxury they can do without. It’s going to be a personal-preference thing. The Logitech G Pro wireless mouse comes accompanied by the claim that it’s one of the only wireless mice that’s actively used in tournament play by esports professionals - and it doesn’t take long to see why. It’s got a real sharpness and sensitivity to it that, frankly, required a little bit of time to adjust to. However, once I was up to speed, this mouse was a goddamn delight to use. After playing characters like Soldier 76, Hanzo, Widowmaker and McCree in Overwatch, I started to buy into the hype around the Logitech G Pro Wireless. It really did feel like this mouse helped me to make the shots I needed to make to help my team get ahead. Did this mouse actually help me make those shots? Maybe not. It's difficult to say. I felt like it did. But maybe it's all in my head. As a result, whether you'll experience the same impact isn’t something I can really predict or guarantee. Honestly, it depends what you’re upgrading from more than anything. In the past, I’ve have found that having the right monitor or mouse can make a difference when it comes to playing shooters that benefit from that little bit of extra precision. Your individual mileage may vary. However, one thing that won’t vary is longevity offered by the Logitech G Pro Wireless Mouse. It boasts an extensive battery life of up to sixty hours unlit and forty-eight hours of lit usage. Yes, like all wireless mice, you’ll eventually have to recharge it (unless you own the PowerPlay charging mat). Still, after using this mouse for a few weeks, that felt like an infrequent caveat I was more than happy to work with. The Logitech G Pro Wireless Mouse, while not without limitations, does come across as distinctly lacking in drawbacks. The limited RGB lighting and lack of textured grips are merely minor-gripes in the face of an otherwise-exceptional gaming mouse. Don’t let the simple aesthetics fool you, the Logitech G Pro Wireless Mouse is packing. It's expensive. But for the most part it delivers.